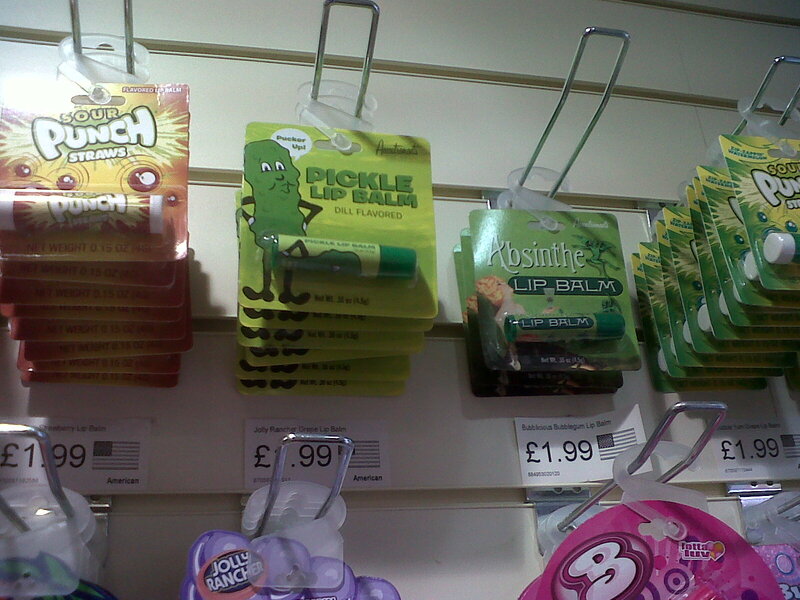 Thought for the day: Pickle flavoured lip gloss? EW! You know obesity in the world has increased when people start making lip glosses that taste like things such as pickles or hotdogs or wasabi. I mean I thought it got bad when lip glosses started tasting and smelling like chocolate chip cookies or vanilla birthday cake…but this has gone a bit to far. Can’t we just be happy with the normal, basic lip gloss smells? What happened to the days of bubble gum or strawberry flavour lip glosses? I remember when I was younger, I collected the starburst flavours! They tasted delicious! Now they have come out with all these strange flavours. Do little girls even like these? Or are they attempting to broaden their audience and make these “cool and disgusting” flavours for the little boys out there who want some chapstick that tastes…uhh…good? Do any guys out there actually find these awesome? Would you actually buy them? Please. Enlighten me. 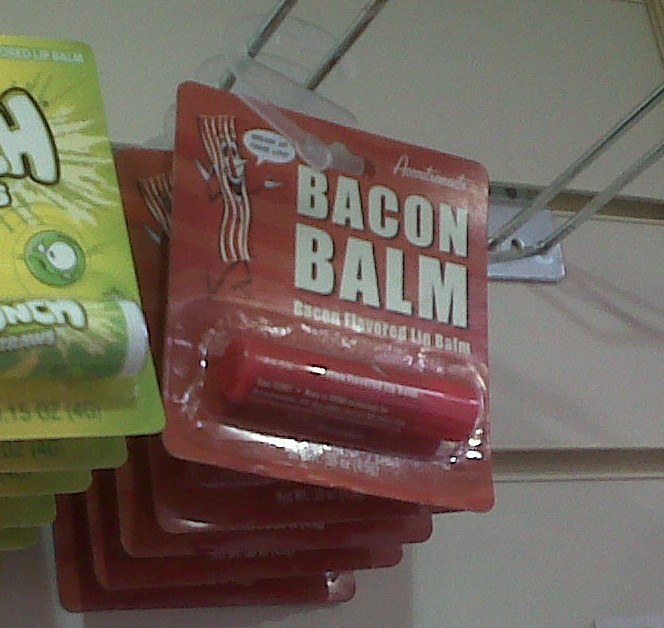 I can’t imagine putting something that tastes like bacon on my lips. (Not only because I’m vegetarian) Also because I feel like it would constantly remind me that I am hungry because I would taste and smell bacon each time I reapplied chapstick. Funny enough, guess what kind of store we found these gross, repulsive chapsticks in..? Any guesses? AN AMERICAN CANDY STORE. Thank you America…for bringing our grossness to a candy store in London. All I can say to this is “ew”. I hope that no one would really use these…unless you really like bacon or pickle tasting chapstick constantly on your lips. If you are one of these strange people…then…whatever floats your boat.